Welcome to Piano Lessons Derby! My name is Eddie Rudak, I am Principal Piano Teacher and proprietor of Piano Lessons Derby. Piano Lessons Derby provide Private Piano Lessons in Derby. Lessons are weekly and are available in the comfort of your home. Learn to play the Piano with a course of easy to follow Piano lessons, delivered by an experienced, patient, friendly accredited Piano Teacher, with more than 35 years tutoring experience. 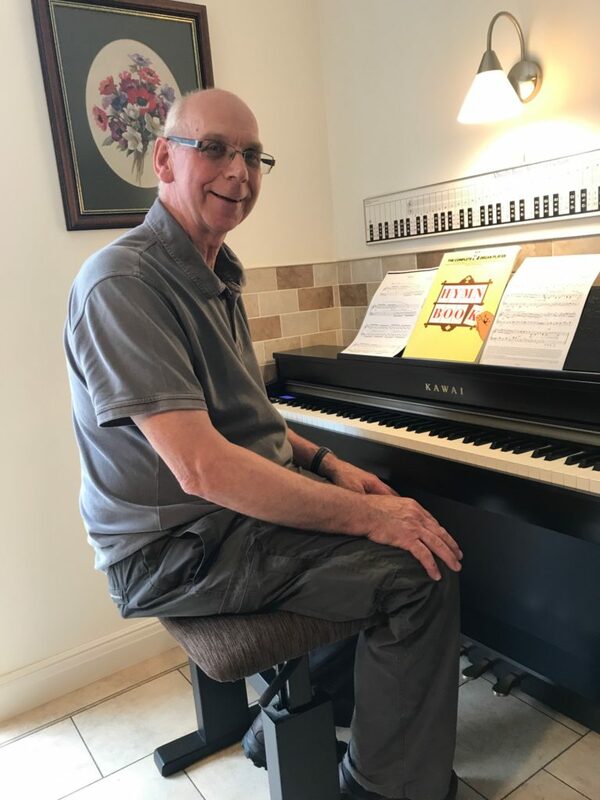 Piano Lessons Derby have taught Piano lessons in Derby since 1979, teaching Piano to youngsters from 6 years of age, right through to semi-retired and retired senior citizens who are seeking a rewarding hobby in their retirement years. Children really enjoy our Piano lessons! Adults and children of all ages and ability are welcome to join us for Private Piano lessons here at Piano Lessons Derby. A short 4 weeks course of trial lessons is available for new beginners. Subject to availability. Private Piano lessons for the complete beginner, intermediate, and advanced Piano student. No matter if you, or you child, are yet to play a single note on the Piano. Or, perhaps, you aspire to be the next ‘big thing’ in the Music charts? Maybe you’re working towards your final graded exams and need help with advanced theory, or repertoire? Call Piano Lessons Derby. I’m certain we have the best course of Piano lessons tailor-made to meet your exacting requirements. Private Piano lessons are taught at your pace. No rush, no pressure! Piano Lessons Derby, a completely flexible, modern, inspiring approach to Piano Teaching! 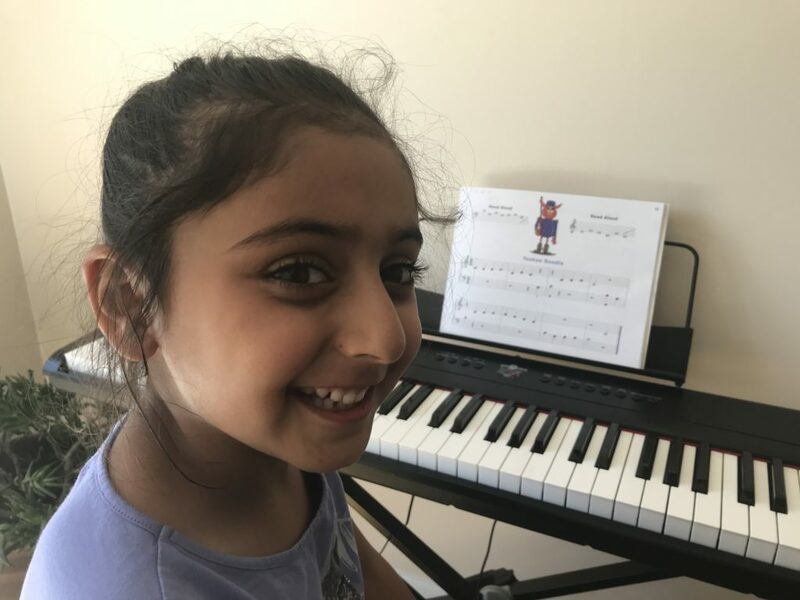 There are many Piano Teachers in Derby who will insist upon teaching Piano lessons in a ‘stuffy’ regimented style, usually, in the same way they themselves were taught. A lack of experience, compounded with inflexibility can be detrimental to progress; especially when tutoring people with learning difficulties. 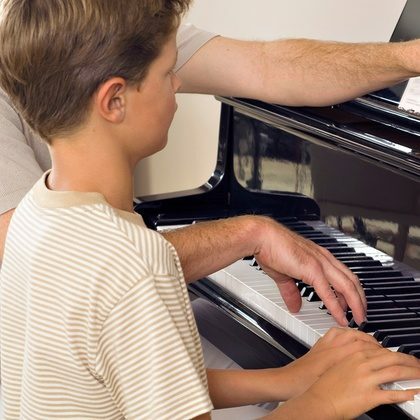 Piano Lessons Derby’s experienced Music Teachers can, and will, instantly draw upon a multitude of useful resources, supported by many years of specialist tutoring to help recognise a difficulty in learning to play Piano by traditional means. Sadly, some people quit taking Music Lessons as a result of not being adequately provided for by their Piano Teacher. This is very sad, and completely off-putting for an eager learner. If this has happened to you, then why not get in touch for an informal chat. I’m sure we can get you back on track again. You might even get your first Piano lesson for free! At Piano Lessons Derby, our Piano teachers do things very differently. A modern approach towards teaching Piano lessons ensures that our Piano lessons are motivational, interesting, stimulating, and progressive, and of course, heaps of fun! Our success in teaching Music is largely due to many years tutoring. Keeping up to date with modern teaching methods and practises, combined with an eclectic mixture of traditional and modern Piano teaching methods. All nicely rounded up with heaps of encouragement and support for our wonderful Piano Students. Piano Lessons Derby have achieved an enviable proven track record of success across all age groups. 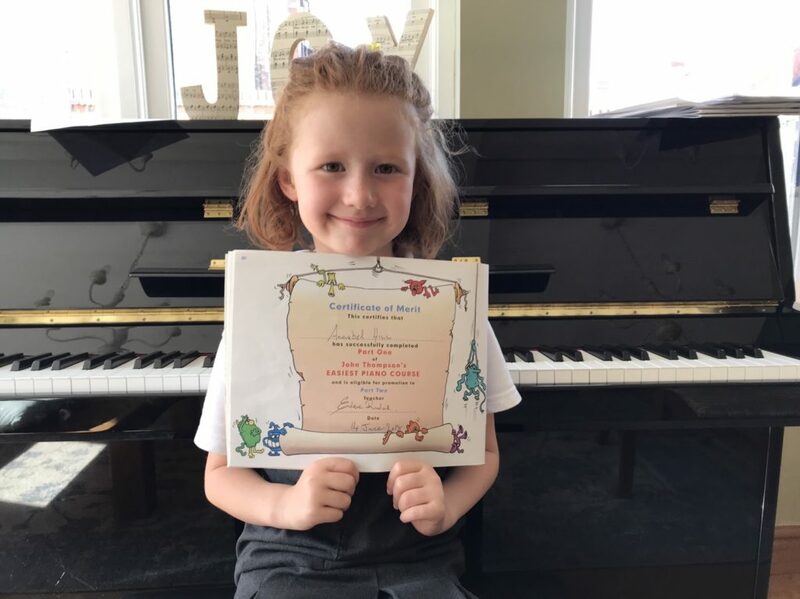 Piano Lessons Derby continue to enjoy an exemplary 100% success rate teaching private Piano lessons across all age groups. A track record which we are extremely proud of. Piano Teacher’s at Piano Lessons Derby recognise that not everybody wants to be taught to play Classical music. That’s absolutely fine. There are plenty more styles of Music to choose from. Let me introduce you to a wonderful young Musician, Master Charlie Gardner, playing an absolute classic, Stairway to heaven. Charlie seems to favour contemporary Piano Music, though he is equally at home playing classical Piano Music too! Just let us know which style you prefer, and you’re good to go. We prefer that our Piano student’s learn to play the kind of music they like. Modern Piano Teaching methods allow for greater flexibility. Piano Lessons Derby’s highly skilled Teachers will remain attentive to your needs! How can learning to play the Piano be of great benefit to your Child? Learning to play the Piano teaches your child the skills of application and practice. Consider learning the piano, a child will learn with one hand, then the other hand, then put the two together and eventually be able to work the pedal at the same time; a novice can’t just sit down and understand how the dots and lines on the page create a tune. The only way to develop these skills is by going over material again and again until it is fully understood, remembered and successfully applied. Children who begin learning a musical instrument at an early age have the opportunity to develop and strengthen their skills over time. They learn to be disciplined in their approach and experience that challenges can be overcome and goals can be reached with hard work and perseverance; valuable life-lessons to learn. Research has shown that both listening to music and playing a musical instrument stimulate your brain and can increase your memory. A study was done in which 22 children from age 3 to 4 and a half years old were given either singing lessons or Piano lessons. A control group of 15 children received no music lessons at all. Both groups participated in the same pre-school activities. The results showed that pre-schooler’s who had weekly Piano lessons improved their spatial-temporal skills 34 percent more than the other children. Not only that, but researchers said that the effect lasted long-term. Source: please click here to read more. Young children are generally enrolled with Piano Lessons Derby from 5/6 years of age. William would like to entertain you with a popular Baroque Piano piece, written by one of his favourite Composers. Now, I would like to introduce you to Master. William Tildesley. William particularly favours Classical Piano Music, as you will hear, when you listen to him play, Spring – by Vivaldi. Piano Exams or No Piano Exams? The choice is entirely yours! We totally understand that taking exams isn’t to everybody’s liking. Many of our Piano student’s learn to play the Piano for their own enjoyment – and that’s perfectly fine. Please click here to learn more about Graded Piano Exams. Maybe you’d care to explore an alternative to learning to play the Piano? Please click here to find out about our Keyboard lessons. Trial Piano lessons for new beginners. I offer a 4-weeks course of trial Private Piano lessons for new beginners. Lessons are 30 minutes duration and are offered at the discounted price of £17.00 each. Subject to availability. Call: 07428 440004 to book your trial Piano Lessons. Piano Lessons Derby. – Teaching Private Piano Lessons in Derby since 1979.